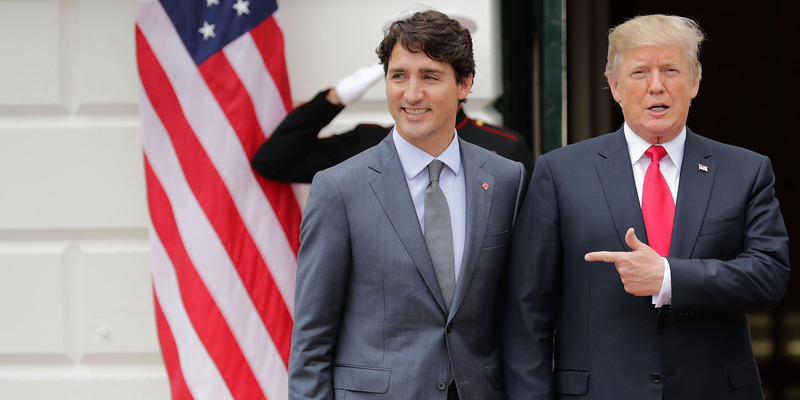 Chip Somodevilla/Getty ImagesCanadian Prime Minister Justin Trudeau and US President Donald Trump. Canada became the second country in the world to legalise marijuana nationwide in June, and sales are expected to begin this month. The US has decided not to ban people working in Canada’s legal marijuana industry from entering the country for pleasure, despite its earlier stance that working in the industry could affect people trying to enter and reports that marijuana workers could face a lifetime ban. Shares of Canadian cannabis companies were down in September after a Politico report citing a senior official overseeing the US border said that Canadians who work in the marijuana industry risked a lifetime ban on travel to the US. Canada became the second country in the world to legalise marijuana in June paving the way for recreational sales throughout the country. Sales are expected to begin this month and legalization officially takes effect. The bill was part of a promise that Prime Minister Justin Trudeau’s Liberal Party made during the 2015 campaign to keep marijuana out of young people’s hands and move the illicit market into a regulated framework.